Equipe gestionnaire (accueil, technique) parfaite (chaleureuse, réactive, efficace). Déneigement réactif et très bien effectué (précis, complet). Chalet confortable et bien chauffé. Départ arrivée ski aux pieds, râteliers chauffants pour les chaussures de ski : très appréciable Navette vers le centre. Tout s'est passé comme attendu. 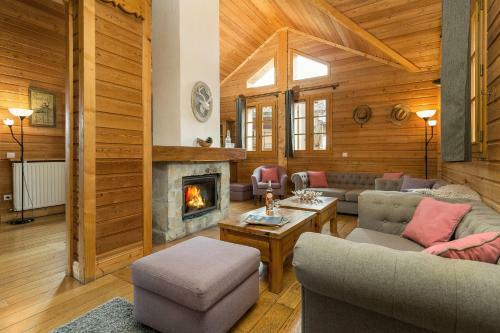 Grand chalet confortable et adapté à un séjour convivial entre amis. La livraison de croissants est appréciable. Prachtige locatie en appartement is van alle gemakken voorzien. Bovendien goede uitvalsbasis om de omgeving te verkennen. Accueil sur place ( février 2018) parfait : amabilité, disponibilité, discrétion. Amabilité de l'accueil, avec ,notamment les croissants et les baguettes de pain frais le lendemain matin de l'arrivée. Le panorama éblouissant et féerique du chalet, le calme et le confort. Le départ à skis du chalet. Lock in a great price for Madame Vacances Les Chalets de l'Altiport – rated 8.9 by recent guests! 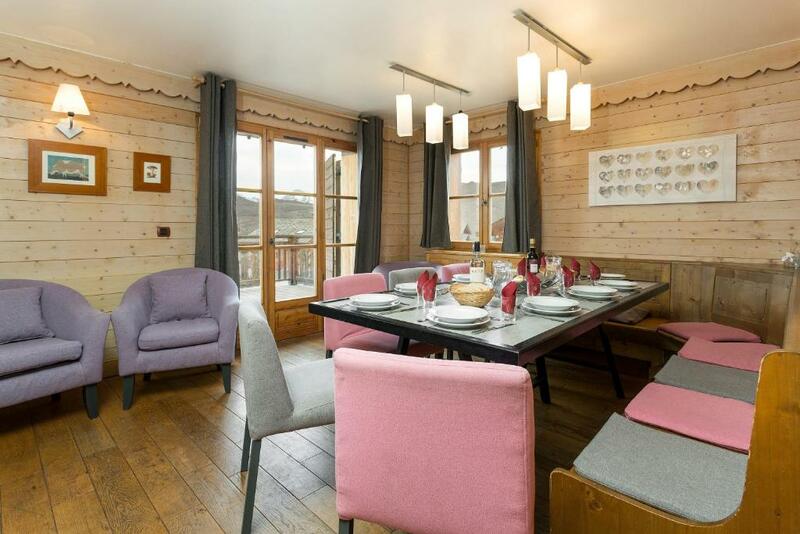 One of our best sellers in L'Alpe-d'Huez! 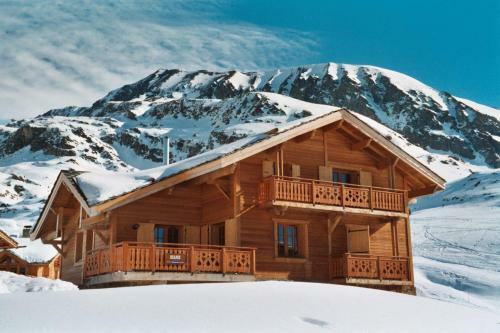 These characteristic mountain-style chalets are located in the heart of the Alpe d’Huez ski station, with direct access to the ski slopes. The residence offers fully-equipped apartments with panoramic mountain views. Free WiFi is included. 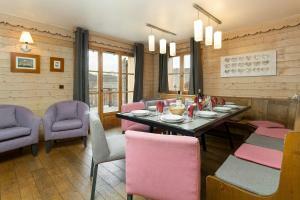 The chalets are spacious and some feature a whirpool bath. Each has a kitchen equipped with cooking facilities, a dishwasher and a microwave. The lounge rooms have TVs with satellite channels.A woodburner is also available. The private bathroom features bathrobes and slippers. Bed linen and towels are included. Board games are available at the property. 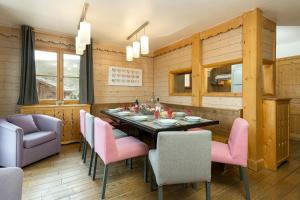 Additional facilities at Les Chalets de l'Altiport include a sauna and an outdoor terrace. Free private parking is also provided. 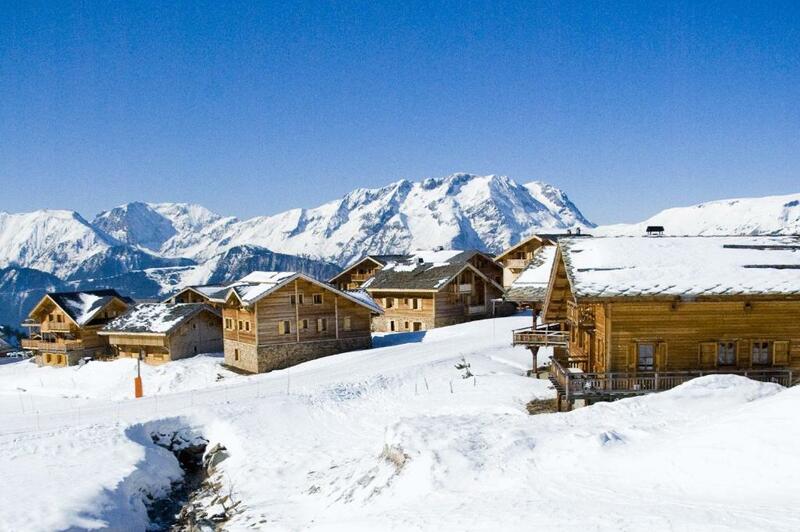 This property also has one of the top-rated locations in L'Alpe-d'Huez! Guests are happier about it compared to other properties in the area. When would you like to stay at Madame Vacances Les Chalets de l'Altiport? This apartment includes 5 bedrooms (2 double rooms and 4 twin rooms), 5 bathrooms and a sauna. There is also a fully equipped kitchen and a living room with a fireplace and a TV. This apartment includes 5 bedrooms (usually 1 double room, 2 triple rooms and 2 twin rooms), 4 bathrooms and a sauna or hot tub. There is also a fully equipped kitchen and a living room with a fireplace and a TV. With a balcony or terrace, the chalet features 2 double rooms, 4 twin rooms and a triple room with 3 single beds. It offers a fully equipped kitchen and 4 private bathrooms with a bath or shower. There is also have a sauna or a hot tub. 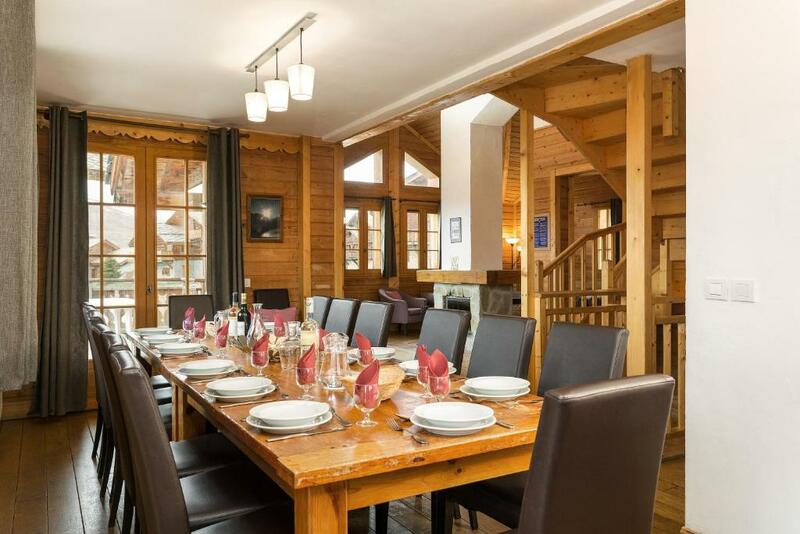 With a balcony or terrace, the chalet features 1 double rooms, 6 twin rooms and a triple room with 3 single beds. It offers a fully equipped kitchen and 4 private bathrooms with a bath or shower. There is also have a sauna or a hot tub. 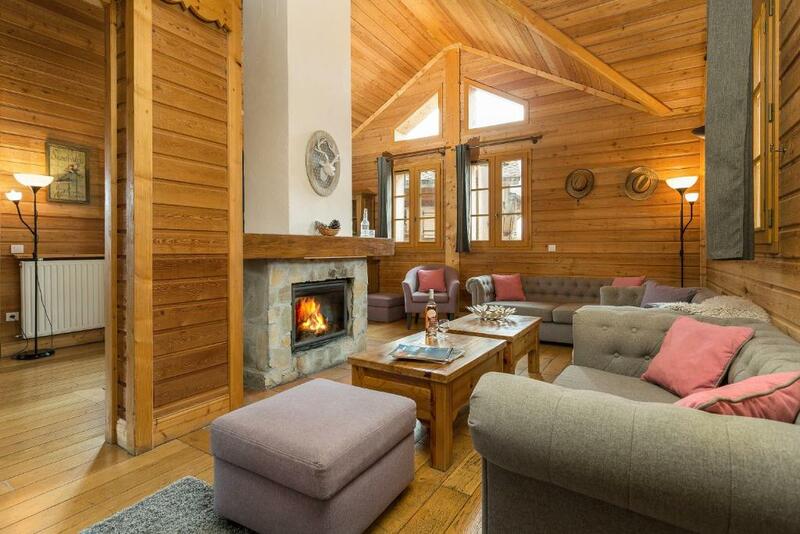 All chalets have a terrace, a jacuzzi or sauna, a fully equipped kitchen, seating and living area with a fireplace. Chalets include a flat screen TV. House Rules Madame Vacances Les Chalets de l'Altiport takes special requests – add in the next step! Madame Vacances Les Chalets de l&#39;Altiport accepts these cards and reserves the right to temporarily hold an amount prior to arrival. Madame Vacances Les Chalets de l'Altiport accepts these cards and reserves the right to temporarily hold an amount prior to arrival. Please note towels and bed linen are provided and beds are made on arrival. The end-of-stay cleaning (except for the kitchen and bins) is included in the rate. Wood is provided for the woodburner. A welcome pack including homemade produce and essential oils are included. On the first morning of their stay, bread and croissants will be delivered to the guests. Baby cots and high chairs can be provided free of charge, upon request. A damage deposit of EUR 750 is required upon arrival – that's about 840.19USD. This deposit is fully refundable at check-out as long as there's been no damage to the property.